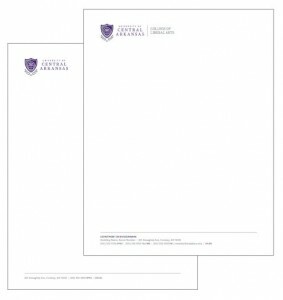 Letterhead, envelopes and business cards must be ordered through UCA’s purchasing system. All applicable state and University rules and policies must be followed in purchasing printed materials, promotional items and services. Please contact the UCA Purchasing Department for specific requirements by calling (501) 450-3173 or visiting uca.edu/purchasing. 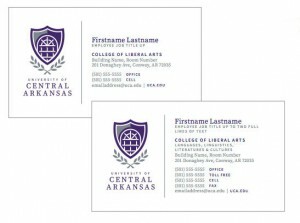 Order forms are available at uca.edu/purchasing.